A second summit between US President Donald Trump and North Korean leader Kim Jong-un is likely to take place in March or April in the Vietnamese resort city of Danang, a news report said Thursday. "If announced soon, the summit would likely take place in March or April, with Danang, Vietnam, appearing the most likely venue," the report said. Earlier, Voice of America said the summit could take place in the Vietnamese capital, Hanoi, citing US congressman Rep. Michael McCaul. 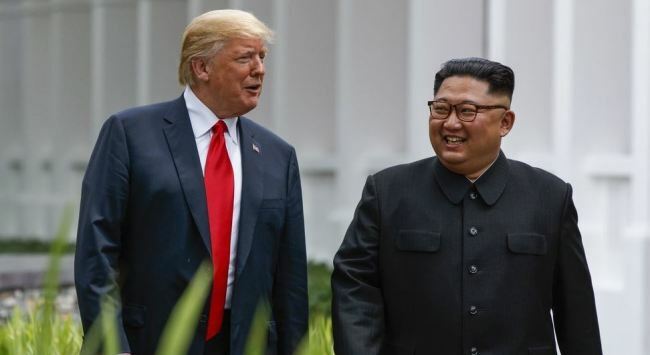 Should Kim Yong-chol's discussions in Washington go well, it could lead to the first meeting between the top US nuclear envoy, Stephen Biegun, and his North Korean counterpart, Choe Son-Hui, in Western Europe, the Washington Post said.